Brown Brothers offers you perfection in print. You’ll love our highly personal service, the incredible level of attention we’ll give each of your jobs and the assurance we’ll never let you down. But it’s the outstanding quality of our work which will really blow you away, especially when it comes to colour. Have a look at some of our work, meet our team and discover what we can do for you. Brown Brothers was first set up as a family business in the 1950s and for almost 40 years has been owned and run by the Boyle family. We’re now onto the second - and even third - generation and that’s part of the reason we’re still here. Good old fashioned values such as customer care and loyalty have been passed down the line. So we know how to really take care of our customers and give each of them the level of service they deserve. People who visit our factory often comment on the good vibes they get from our working environment. There are 12 of us now, the most there’s ever been, and the majority have been with us for over 7 years - although for some it’s a lot longer! Our portfolio is bursting with projects which we’re really proud of. To give you a flavour, here’s a small selection including a cross and parallel fold brochure for a leading creative agency, a decadent product brochure for an international skincare company and an award winning theatre programme which we printed for a local amateur operatic society. 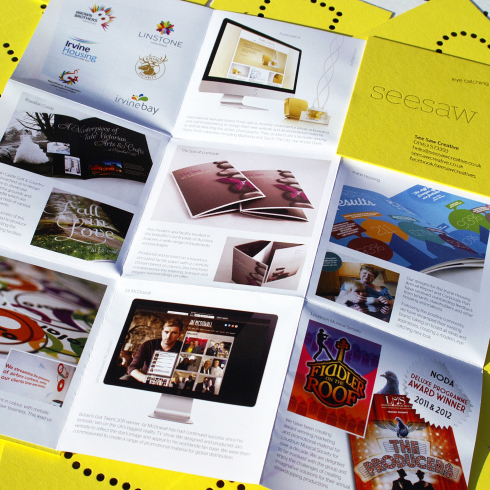 The following examples all demonstrate our wide range of capabilities in print and special processes. If you would like to see some samples, please contact us. 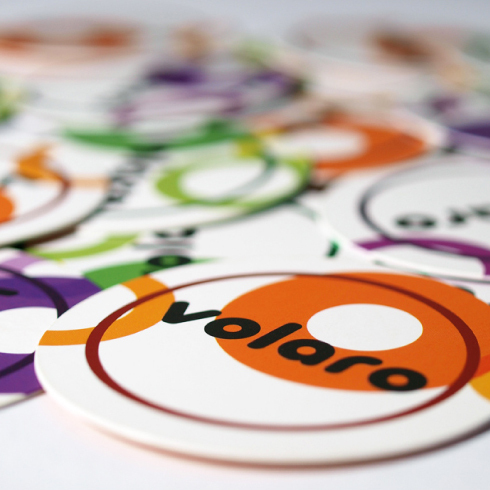 Volaro - Business cards printed full colour two sides on 500gsm silk board, foiled one side and circular die cut. North Ayrshire Council - Loose leaf brochure digitally printed on 130gsm uncoated and wiro bound. 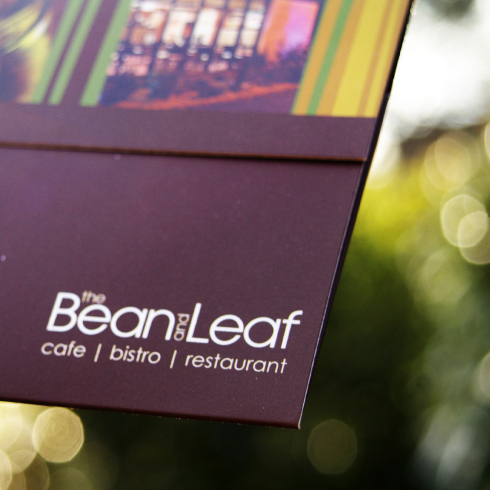 Bean & Leaf - Voucher wallet printed full colour on 400gsm silk board with spot UV varnish. See Saw Creative - Cross and parallel fold brochure litho printed full colour with outer covers foil blocked onto a 700gsm board. 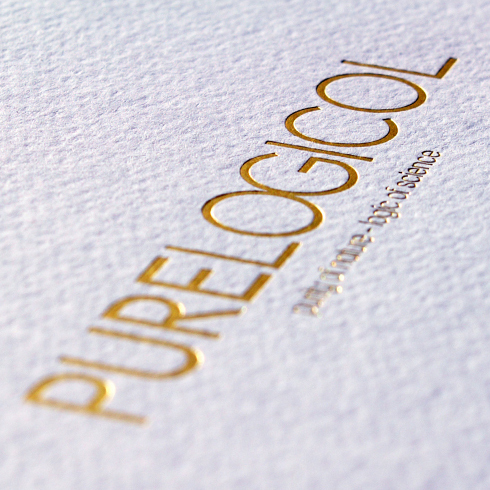 PureLogicol - wraparound cover gold foiled onto 350gsm board with 18 full colour inserts bound with posts. 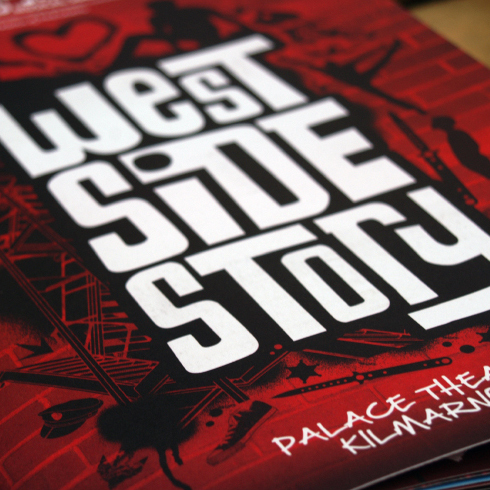 Loudoun Musical Society - 36 page C5 programme printed full colour litho on uncoated stock. From our recently expanded premises, we carry out even the most complex of print jobs completely in-house. We use the latest technology and equipment to give you the service and results you want - from creating your artwork to delivering to your door. 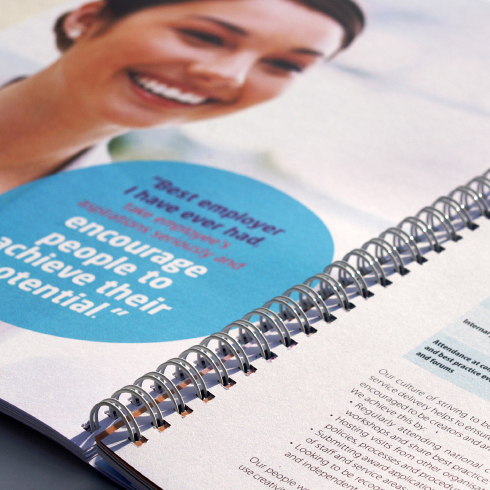 Booklets and binding Our specialist booklet maker produces books up to A4 size and 80 pages. In-house design Our design and repro suite is equipped with latest software and technology. Print finishing Our attention to detail and quality runs through every stage of the process. Print finishing is the last post. Digital print Our digital print machine is ideal for customers looking for a smaller print run. © 2015 Brown Brothers Printers Ltd.